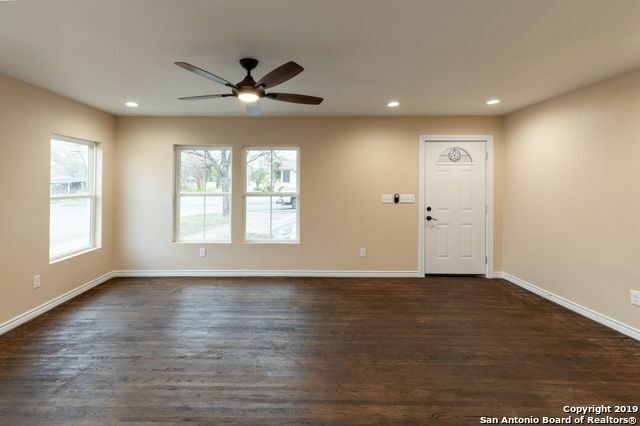 All LOS ANGELES HEIGHTS homes currently listed for sale in San Antonio as of 04/22/2019 are shown below. You can change the search criteria at any time by pressing the 'Change Search' button below. "Welcome to your forever home! Property rehabbed from the ground up. New everything including foundation, insulation, flooring, electric, plumbing, etc. Brand new roof! Brand new appliances and fixtures! Great neighborhood amenities like Woodlawn Lake Park, restaurants and grocery stores. This property is spacious enough for a big family.Make an offer today!" "This historic home has character! Original hardwood floors, antique glass, chandelier, gas fireplace, & more. Master Suite is entire 2nd floor with bonus area for 3rd bdrm or office, huge walk-in closet, & renovated bath w/slate flooring. Balcony overlooks backyard deck & huge pecan tree. Kitchen has custom cabinets & granite counters. Updated HVAC has 2 A/C units w/Nest thermostats. 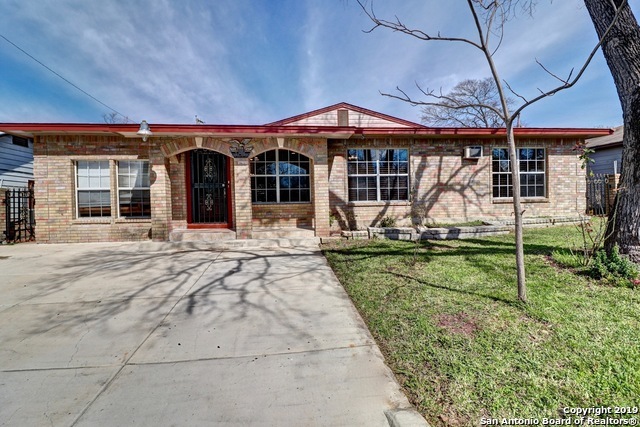 This welcoming home is near Deco District and downtown San Antonio." 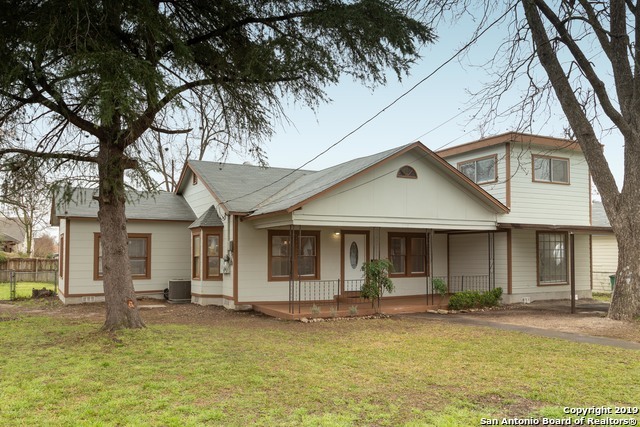 "Beautiful, extremely well-kept 1935 HISTORIC home located minutes from downtown San Antonio! Authentic, amazing hardwood floors throughout with a quaint kitchen and bathrooms. Over-sized lot with mature trees features an elegant wrought iron fence enclosing the property. The backyard is perfect for entertaining with extra privacy and an extra large workshop with a bathroom! It can easily be converted to living quarters for a Mother in Law suite, college student or tenant for extra income! 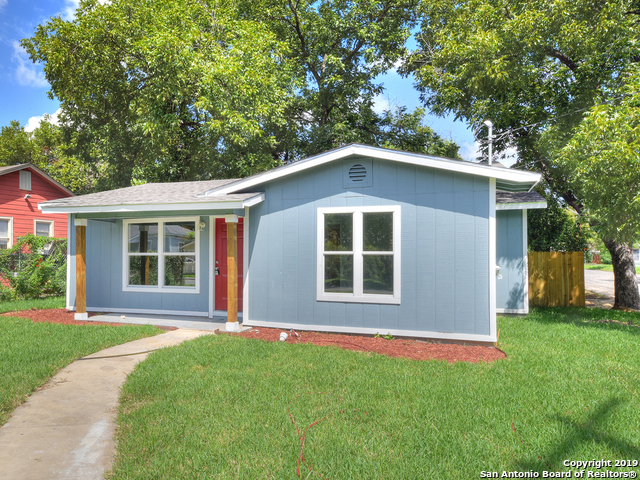 A Must"
"Drenched in natural light, this adorable COMPLETELY REMODELED home has it all! Tile floor offers beautifully fresh environment,an over sized living room with wood beams, dining space, fresh paint throughout, and a huge kitchen with new appliances and granite countertops . Attached one car garage. The large lot has room for all of your favorite backyard activities and family gatherings. OPPORTUNITY AWAITS!!" 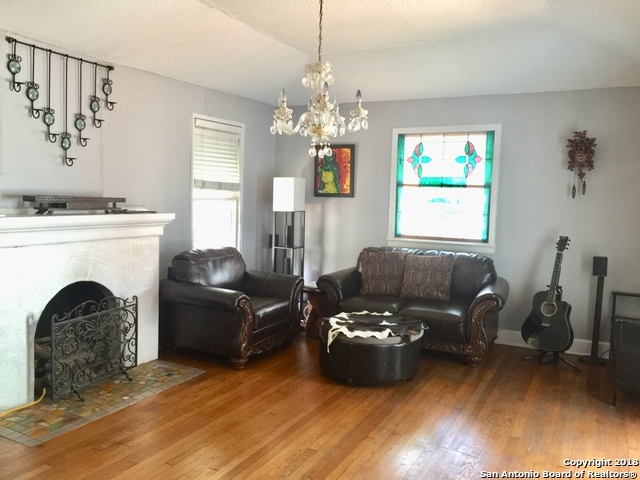 "Beautiful renovated home with original refurbished wood floors and windows conveniently located blocks from I-10, minutes from downtown and the airport. Fabulous open plan kitchen in the heart of the home with large granite island and stainless steal appliance. Large family room that opens to back yard of mature trees and a flat green yard. Workshop and detached garage allow for extra storage in addition to a covered carport. Security alarm." "Stop looking this is the one!!! Gorgeous Italian Villa inspired country home with finishes of a bygone era! Have a backyard BBQ, pick oranges and grapefruit from your Garden of Eden inspired backyard fruit tree's! Plenty of room to grow in this rare 2,114 sq ft home one of the bigger homes in the area. Conveniently located of IH 10, Upgrades include, tile no carpet, open floor plan recessed lighting, 2 HVAC units, upgrades galore too many to mention! Come see it today, this one will go fast!" 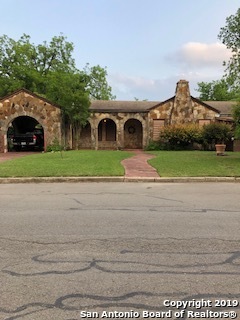 "This home is clean & features original hard wood floors, large LVR w/wood burning fireplace, DRM has an arched entry into large Kitchen w/gas cooking, dishwasher, tiled counters, & ceramic tiled floors. MBRM w/sitting area, which owner used as a kitchenette for their convenience, but could be used to make MBRM larger or used as an office etc. Freshly painted in side and out. Being Sold as is"
"LOS ANGELES HEIGHTS JEWEL!! Newly renovated 3BR/2BA. New in 2018...Roof, AC unit, insulation, ductwork. 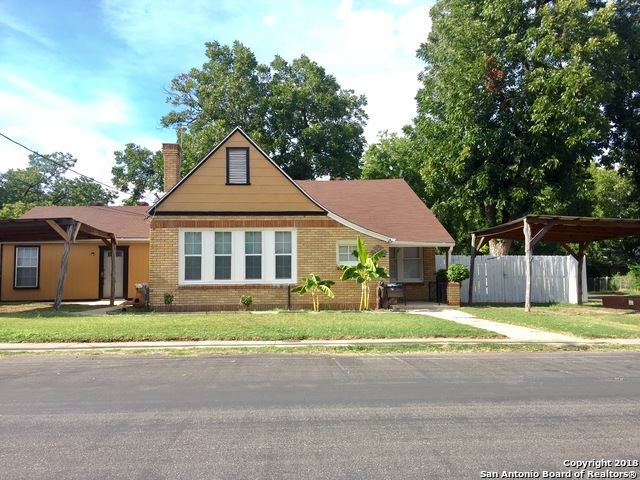 kitchen cabinets, appliances, plumbing, electrical, windows, light fixtures, bathrooms, bathroom fixtures, carpet and vinyl floors. . Large lot with huge pecan tree in back. New sod in front yard and as well as graveled driveway. Come see this beautiful home before it is taken!!" "HEART OF 'LOS ANGELES HEIGHTS' Original Wood Floors Custom Kitchen Large Bedrooms Study in Home or Playroom ATTACHED OFFICE IN BACK APARTMENT OR MOTHER-IN-LAW SUITE was rented $700. Low Maintenance Backyard Mostly Concrete. Schools & Bus Walking Distance.ROOF approx 5 years. EASY ACCESS HWY I-10,410 (GOOGLE MAPS)RIVER-WALK 10 min SEA WORLD 17 min FIESTA TEXAS 16 min ZOO 12 min. VERIFY SQFT APPROX 2200 BCAD never updated (estimate $117.23 sqft)...SELLER READY TO NEGOTIATE"
"ALL NEW...Hardy siding, windows, electrical, data and safety, recessed lighting in living space, kitchen and master. Fans, HVAC and all piping and ducting, recent insulation, drywall, tape, texture, and float, paint and trim, appliances including, water heater, new concrete foundation piers, recent base stucco and proper venting, plumbing all the way to city connections! Flooring, kitchen cabinets, granite counter in the kitchen, bathrooms fully replaced, recent wood fence." "Located near UTSA University, Quarry Market, downtown SA, Please verify square footage and schools. 2 bedrooms 1 bath upstairs. 2 bedrooms 1 bath down. Also listed for rent. Located on FEMA 1% flood zone. Nice investment property. Live on one and rent the other. Both units comes with appliances. Updated kitchen and baths." "Stunning one story home featuring an open floor plan, perfect for family gatherings. Its amazing kitchen is perfect for the home chef. It includes gas cooking and stainless steel appliances. 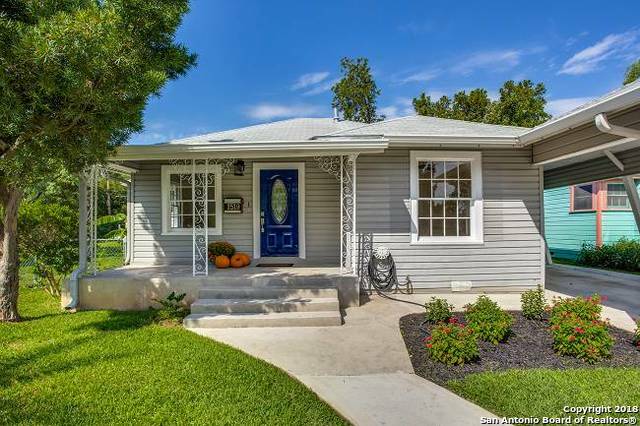 Located close to IH 10, medical center & downtown, in desirable Los Angeles Heights. LOCATION, LOCATION , LOCATION. You must see this home." "Great starter home in Los Angeles Heights. Come see this magnificent remodeled home perfect for a first time buyer. Homes features 4/2. Original hardwood floors greet you as you first enter. Brand new kitchen with gorgeous granite counter tops and new stainless steel appliances. Both bathrooms are completely new and updated! This home also features an indoor laundry room. The seller will install 5 new window units after option period. Bring your buyers, this one won't last long!" "Newly renovated home, with modern touches." "This exquisitely redesigned home has NO other rivals. Exceedingly grand and stunning details are complimented by architectural designs. An impressive master retreat waits you along with your dream kitchen. This 3 bedroom 2 bath also comes with an impressive outdoor space perfect for entertaining. Golf Course 1.3M away, 2 parks and 1 dog park 3 miles away! 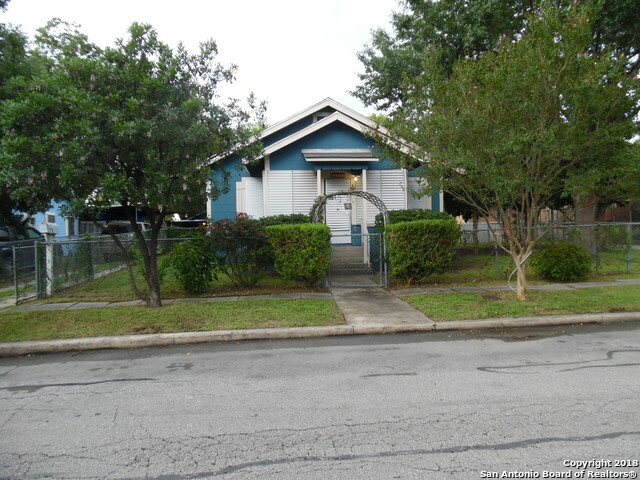 Centrally located and very close to downtown and IH-10!" "Charming vintage home, with multiple living spaces or BDRMs, & generous storage. It's up to you how to use the space. The rear family room, was used as a mother-in-law suite complete w/ LVR, bedroom, 1/2 bath & walk-in closet. So you can choose how to use. Exterior vintage louvered storm shutters and doors. Front all weather porch. Nice covered parking w/covered walk-way to house. Rear Apt & Main house share covered/screen porch/laundry. Rear apt had been rented for $750/bills paid (no separa"
"Location and rehab make this cute home perfect for First Time Home Buyers! 3 bedrooms, 1.5 baths, separate dining area and a large living room with new flooring, paint, ceiling fans and bathroom fixtures. Roof replaced in 2018! Nice back yard with area for outdoor entertaining! Close to IH 10, Loop 410 and shopping! Don't Wait - See it Today!" "Great family starter home in an established area. New roof as of 2 years ago. Major price reduction from last listing to reflect market price. Will not last at this correct price. Shows well. One hour notice please as very kind tenants are in place on a month to month lease." 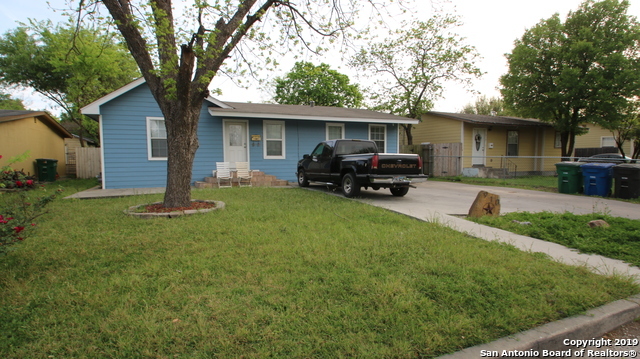 "Charming single story home located in the heart of San Antonio. This home features an open floor plan, eat-in kitchen with gas cooking, beautiful flooring and a perfect layout for entertaining. Tons of windows that allow the natural light to flow throughout the home. Large fenced backyard with a workshop. Schedule your showing today!" "The home is on a large corner lot and has been completely remodeled and updated inside and out. It has brand new central AC with new laminate flooring in the living area and carpet in the bedrooms. All new kitchen cabinets and appliances. 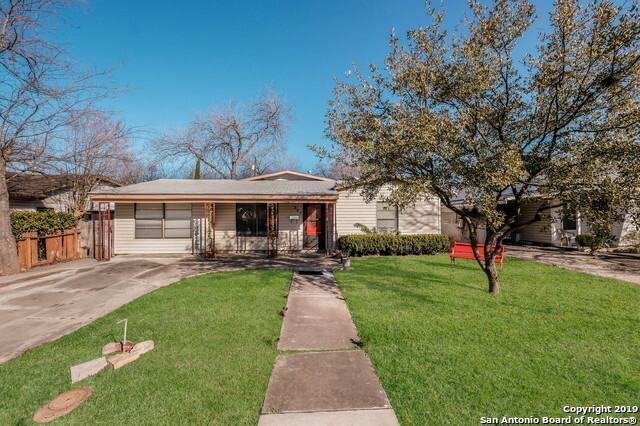 Convenient to IH-10 and just minutes from downtown." "Check out this beautiful large home on a corner lot in LA Heights. This house has a ton of potential to be a stand out fixer upper because of it's unique design and ideal location. The kitchen has already been updated and the roof is not very old. Sales price is significantly below BCAD appraisal! TLC is needed but some updates have already been in place. Check this one out today!" 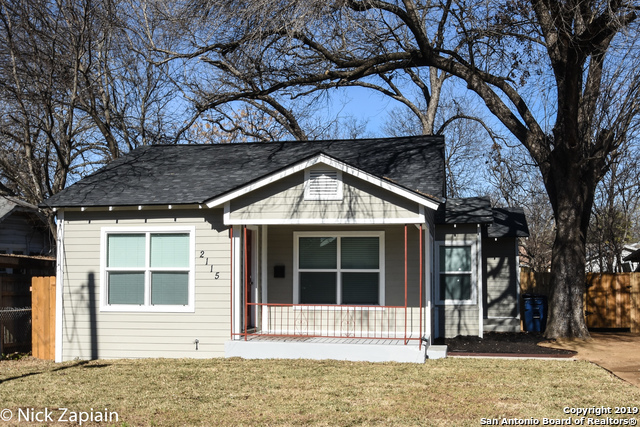 "Very cute and cozy 2 bed 1 bath Move in ready Lots of upgrades New 30 yr shingle roof Custom kitchen which includes granite countertops, all wood cabinets with soft close hinges, and stainless steel appliances. Fresh paint inside and out New light fixtures Orginal refinished hardwood floors Custom double pane windows with solar screens Detached garage Fresh landscaping Mature trees Must see to appreciate"
"Looking for single story living? Skip the stairs in this one-story beauty. This home contains original hardwood flooring throughout. Subway backsplash tile & new appliances in the kitchen. Fresh paint along the exterior and interior of the home. Located minutes away from I-10 w/ great shopping & entertainment." "Location! Location! Location! Welcome to your new home in Los Angeles Heights ! 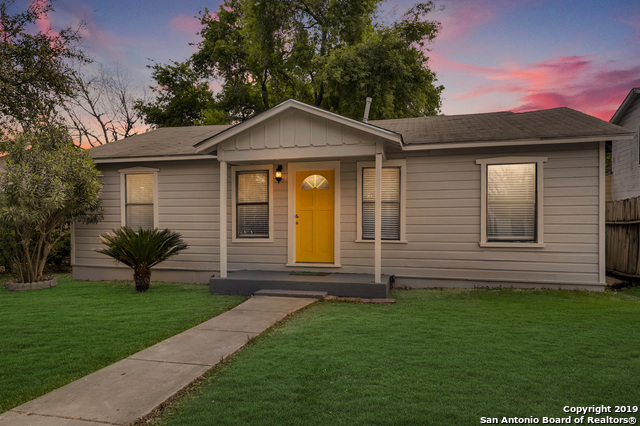 This newly renovated 3 Bdrm home is eligible for City of San Antonio Down Payment Assistance of up to $15,000 for qualified first time home buyers! 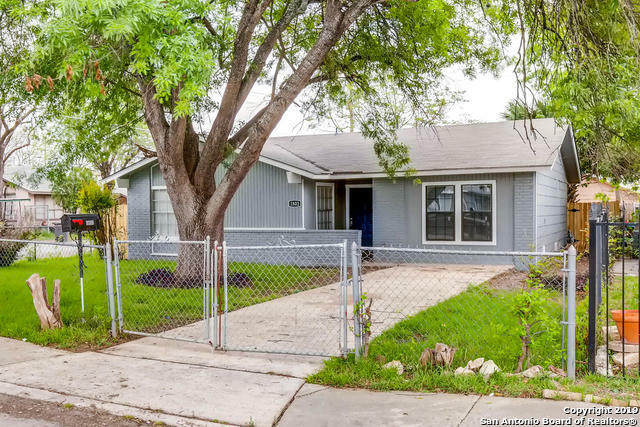 This gem has a ton of recent updates which include new paint(inside and out), new flooring , new light fixtures and newly renovated bath room .Conveniently located near Fred Rd and IH 10 with short commute time to North Star Mall and Downtown San Antonio , A must See"